Several years ago, IKEA invented the OptiLedge (internally referred to as the Loading Ledge) as an innovative alternative to wood pallets with the hope that it would reduce transportation cost and increase sustainability. Implementation was such a remarkable success that in 2012, IKEA announced it would phase out the use of wood pallets. They also decided to make the OptiLedge available for businesses outside of IKEA. In April of 2014, OptiLedge LLC of Newnan, Georgia purchased the OptiLedge brand from IKEA. Worldwide production takes place in the USA, China, Australia and the Czech Republic. Environmentally Sustainable—The OptiLedge is made of strong, light and durable Poly Propylene which can be recycled. Traditional wooden pallets use trees and are difficult to dispose of. In addition using wooden pallets adds over one ton of weight to a typical truckload. Lastly, unitized loads generally have less packaging. Save Money!—Our customers consistently save hundreds of dollars—mainly in fuel and labor costs—per container by implementing the OptiLedge. Significant savings come from the dramatic reduction of labor required to handle imported goods and reduced fuel expenses due to the lighter weight of the OptiLedge. Other savings include reduced packaging costs and reduced damages. 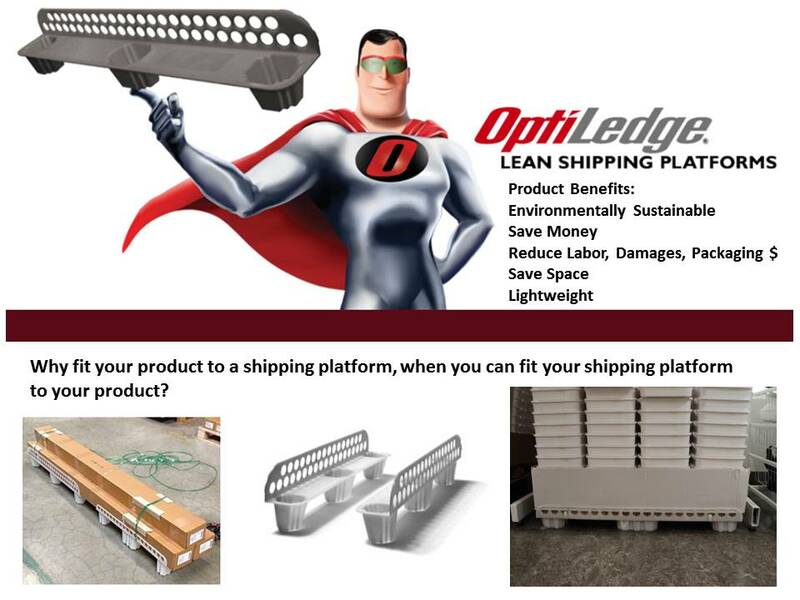 Reduce Labor, Damages and Packaging Cost—The OptiLedge is an economic way of creating unit loads so that freight can be handled in a palletized format throughout the supply chain. This eliminates labor that adds no value to your product, reduces damages, workplace injuries and lead times for your products. Save Space—The OptiLedge, when not in use, nests together taking up dramatically less space than a traditional pallet. As an example, one truckload of OptiLedges would be the equivalent of 23 truckloads of traditional pallets. Lightweight—The OptiLedge weighs under two pounds compared to 33 pounds for a traditional pallet. The OptiLedge Fits Your Load...Not the Other Way Around!—Eliminate underhang and increase fill rates. For additional information, give us a call at (847) 979-1000. 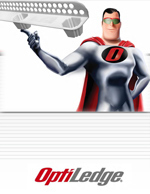 Visit the Optiledge web site at www.optiledge.com . Pack 5-KFC rail tubes and ship via freight directly to a store to meet an installer. Each tube is 100” x 4.5” weighing 10 lbs ea. Very light but quite unwieldy and somewhat delicate. 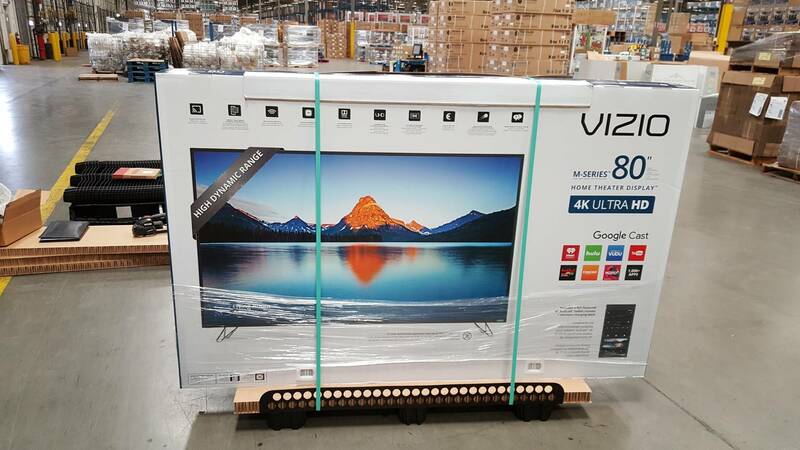 Could ship them separately via freight without a pallet, but the fear is that not all 5-tubes would arrive at the same time and could get damaged. I need a 101 x 23 pallet. The only pallet I have on hand similar in size is 96 x 45 (too wide and too short) plus the pallet weighs 65 lbs without the rails. Create a shipping carton on Packsize box maker. Strap 4-Optiledge brackets to the outside of the shipping carton. Now have a fork-lift ready shipping unit that is 101 x 23 x 11 and has a total shipping weight of 57 lbs.